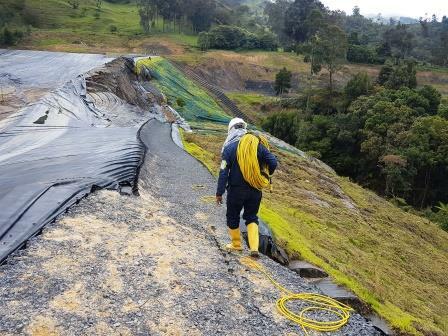 In 2016, a landslide devastated the dam infrastructure and affecting part of the existing main road corresponding to Pamplona – Cúcuta. It is important to know the possible presence of cavities in the area and saturated zones before reconstructing the main road. The local geology corresponds mainly to Cretaceous sediments with the presence of clays and fine-grained sediments as well as to massive layers of limestone and marl. 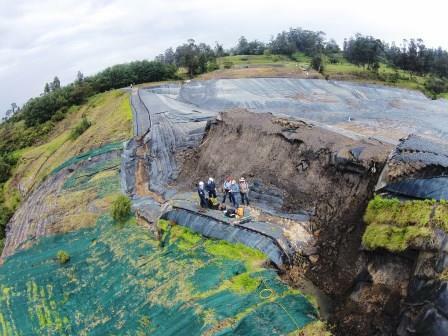 Our client, the Ingeo Exploraciones from Bucaramanga, Colombia, used AGI tools to investigate the landslide’s bedrock and weak zone. 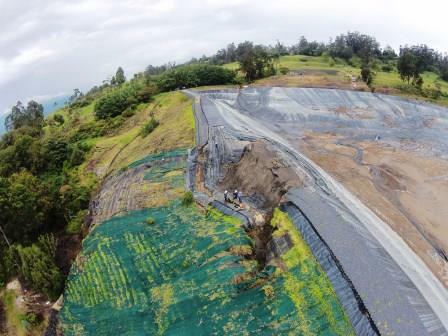 The goal of this study was to evaluate a problem of landslide in this area and the possible presence of cavities. The client used our multi-channel resistivity instrument, the SuperSting™ R8 with 56 electrodes at five meter electrode spacing a long the line. 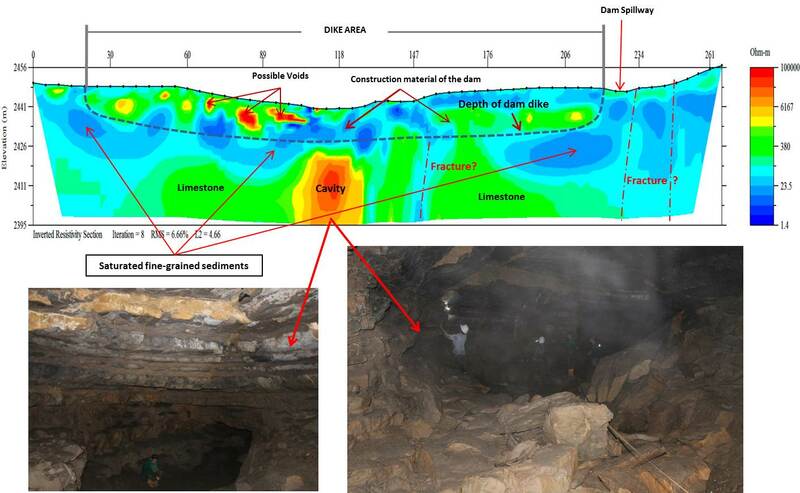 The profiling apparent resistivity data sets were obtained for gradient arrays. The depth of detection was approximately 60 meters. They also measured coordinates and elevation of each electrode to include surface topography in the 2D inversion, using EarthImager™ 2D software. 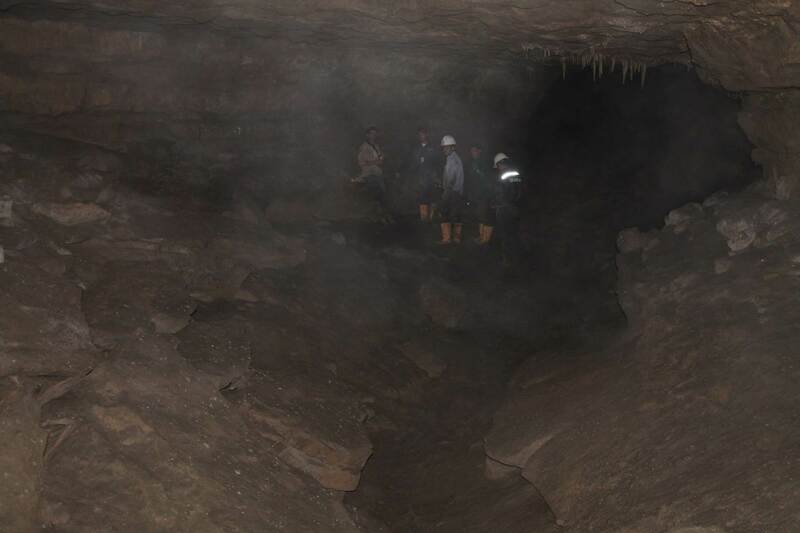 Found large cavity below the dam and possible of voids in the area. These findings were confirmed by the local construction company. The area was compacted and the main road was rebuilt. It currently operates successfully.